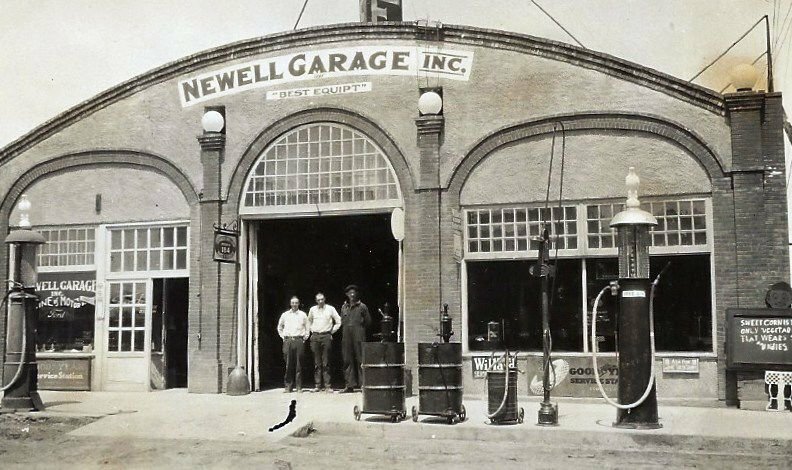 The Newell Garage, a dealership for Ford cars and trucks. The Bushnell Building, built in 1913, now houses the Newell City Hall and Newell Museum. The front entrance to the Newell Garage. August Maass and wife of Bixby were in Vale on Wednesday; Mrs. Maass was filing on a desert claim. Ernest Schleuning of Tama accompanied them as a witness. There will be a masquerade dance on Washington’s Birthday Saturday night February 22. The ladies are requested to bring a box containing lunch for two, which will be sold to the highest bidder. Dance tickets will be $1. If the ticket purchaser bids on a basket, he will be credited his ticket back at $1 toward the next dance. Ed Bushnell has just received a new complete line of Ford autos, parts and repairs. If you are in the market for a new Ford, see him at once as the supply will be limited for some time to come. This week all Departments of the N.M. Bratton Merc. Co. are represented and are doing business in the new building, although workmen are putting on finishing touches. The new building is a point of beauty and fire proof, convenience to the community and customers, all departments are under one roof, grocery department, hardware, dry goods, women’s & gent’s wear, and shoes with offices directly in center on the balcony overlooking all departments with ample storage space in basement. Elmer John May, 11, son of Mr. & Mrs. John May of Lead, died shortly before midnight last night as a result of injuries received when a sled on which he was sliding down a steep street collided with a toboggan coasting down a cross street. The boy lived only a short time after the accident. The county tax levy for Mother’s Pensions for the year 1929 is decided by the Butte County board of Commission at .44 mills on assessed property. 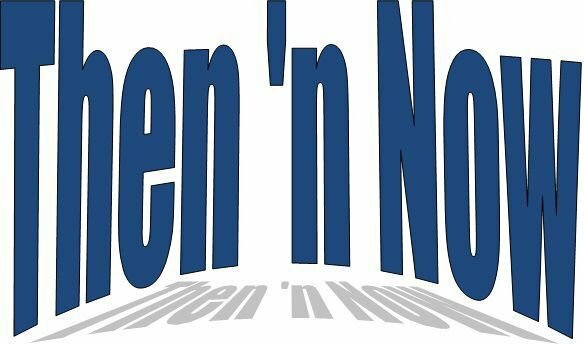 To be eligible for a Mother’s Pension, the mother must be a widow by reason of death of husband or by divorce granted one year prior to receiving pension and a resident of South Dakota for one year and Butte County 6 months. Ralph Boyer, WPA area engineer, announces the completion of the Vale School Project, comprising the construction of a concrete basement under the school gymnasium. The basement will be used for dressing rooms and shower baths and a heating plant. An “Old Times” dance is scheduled for next Wednesday evening February 15 at the Old Fellow Hall. The music to be furnished by the ever popular Hoover Orchestra. The affair is given as a benefit for the South Dakota Odd Fellows Rest Home. Admission 35 cents per person. The Black Hills Airport was leased last week to the Skyway Air Service of Newell and Spearfish by the Lawrence County Commission for a period of 5 years. The lease agreement calls for a payment of $1,500 per year. The agriculture land was leased to Chester Dodds, Spearfish, for $1,296 yearly for 5-year lease. The Skyway Bid for airport and agriculture land, 259 acres was $2,100. The Pilgrim Fellowship Youth group of the Congregational Church is hosting a Mother-Daughter Banquet February 14 at 6:30 PM at the Congregational Church Social Room. A $1.50 fee for a pair mother and daughter is charged. Mothers without a daughter are urged to bring another young girl from the community. All hope has been given up on finding Allen MacKrell, Vale youth, still alive who was lost in the early January blizzard. MacKrell who has been working for Otto Wolfe, whose ranch is near Kyle in the Bad Lands. The family reports that searching parties are still out, although the snow and wind since the first blizzard have made it very difficult to carry on a search. Attorney General Parnell Donohue ruled Wednesday the funds derived from a Township liquor store may not be given an Independent School District. A Township in Butte County requested an official opinion as to whether they could give funds from the liquor store operated in an Unincorporated Municipality to the school district which is in poor financial condition. S-Sgt & Mrs. Gerald Fabricius and children drove out to Castle Rock to the parental Henry Jacobsen ranch Sunday to visit. They arrived in Newell Tuesday evening to visit relatives and friends, and the little girl has been sick with the measles since their arrival. Newell Kindergarten teacher, Kay Karlson, bused her students to Hazel Yuill’s farm on Horse Creek Wednesday for the unusual experience of milking a cow and seeing other farm animals. Most of the children learned how to milk a cow and feed bum lambs. They also saw a lamb being born. They ended the day with milk and cookies and warmed their feet by the fireplace in the Yuill home. It was a real learning experience for most of the kids. Somebody shot through the front window of the Bum Steer Café in Newell at 8:30 PM Thursday. Police say it was a .22 caliber or smaller and the case is still under investigation. Anyone having information about the shooting is asked to contact Newell Police Chief Richard Marr. There were no injuries in the incident, although patrons and owner Sue Middleton were near the line of fire.